Say goodbye to hair thinning and hair loss, say hello to new, healthy hair. 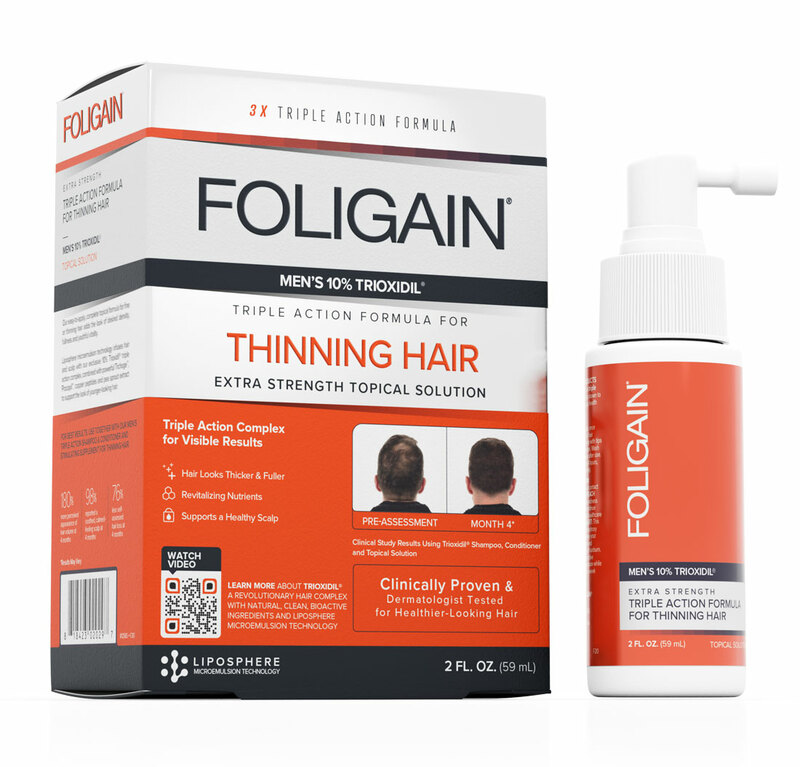 The easy-to-apply FOLIGAIN® Hair Regrowth Treatment For Men is formulated with our most potent 10% Trioxidil blend for fast, visible results. Trioxidil is formulated to target the main causes of hair thinning for added density, fullness and youthful vitality. Thinning ceases and allows for new hairs to grow and create a whole new head of hair.